3) leave a comment on this blog post saying you did those steps! one winner will receive a rug of their choice valued at up to $800. the winner will be chosen on january 24th at 10am PST. open to international readers, yay! I commented! What beautiful rugs! I commented toooo! Stunning colors, I love it. I’m in desperate need of a 4×6 and I looove this one! Commented. 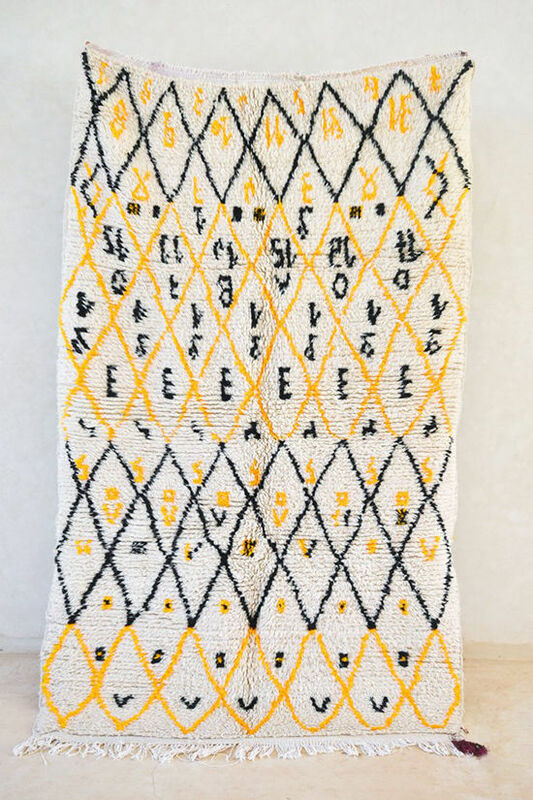 Gorgeous rugs – thanks for sharing such a great resource! Tropical midnight sky……would look great in my hallway. The rugs are amazing..ed a few who would love these original rugs! Also enjoyed the Instagram photos..right up my alley..thank you. I followed all steps! those rugs are amazing!! Followed the steps! Really hoping I win, love the colors on those rugs. Commented! So gorgeous! what beautiful rugs and such an inspirational . Followed the steps! I’m obsessed with Moroccan rugs! The rug she posted on 1/3 would be perfect in my entry. Commented and followed! Thank you! Commented 🙂 That pink rug is an absolute dream! Commented and Followed! Love the third one on this post!!! Fully entered – love all of the rug options! Done! These rugs are so nice! Also, Did all of the above mentioned 🙂 Good luck to everyone! Done!Love her account. Thanks for sharing! done done done! eep so cute!! 🙂 thank you for fun things like this! did it! v exciting, such beautiful rugs. The colors are amazing! I followed and commented. Commented! I love these textures. Ahhhhh yes, been wanting a new Moroccan rug for ages. These are so beautiful. I followed and tagged! did it! could use some rugs for my new home!! my fave rugs! so stunning. Followed and tagged a friend in the most beautiful blue patterned rug! My dream rugs! Followed and tagged. I would LOVE one of these rugs! The perfect addition to my living room. Followed and commented with tag. whoops ALSO DID THE STEPS 🙂 I’M SO BAD AT DIRECTIONS! Commented! My boyfriend and I are moving in together next month and I would LOVE to have the Desert Town rug. Happy hearts & happy feet. Done! 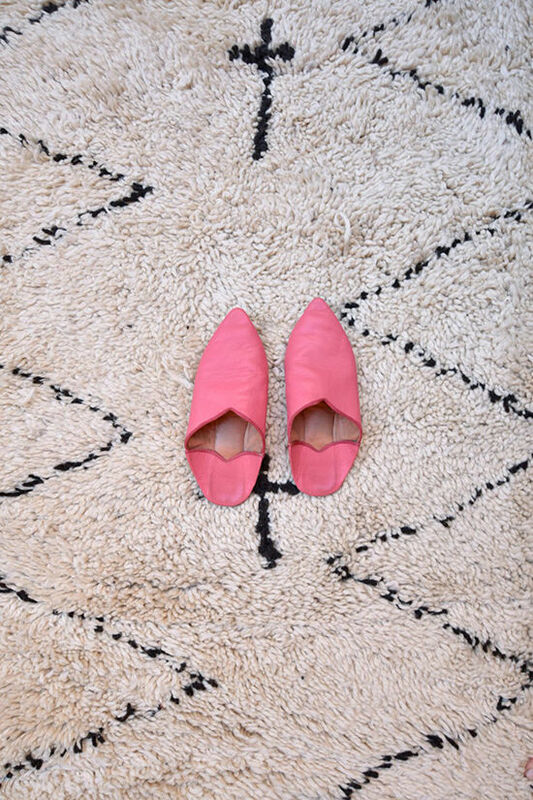 I love the rug with the pink slippers! Gorgeous rugs!! Just moved into my own place and am literally drooling over the thought of having one of these rugs in my living room! Done! Gorgeous rugs! I’m obsessed! Such lovely rugs, colors, & styled interiors! Thank you for the inspiration! Done! Obsessed with the rugs. What a fantastic giveaway! Would love to showcase one of these in our recently purchased ✨first✨ home. Thanks for the opportunity!! Commented and tagged! I want them all! I commented! Would love one of these for my office! Done and done! I’ve been eyeing beautiful moroccan rugs for our new home too! Fingers crossed! I’m following and commented! thanks for a great giveaway! Commented! My husband and I just bought our first home and we’re in desperate need to an amazing, light rug for our wood panel den! Followed and commented on a beautiful runner, thank you! Done all the steps!!! Crossing my fingers! Well, that was both an easy and lovely experience…loved the black and white rug image posted Oct 9, 2016 so much! I did all the steps – I followed the Instagram page, liked and commented on my favorite rug, tagged my friends to spread the love, and am leaving a comment here! These rugs are gorgeous! Fingers crossed! Followed & commented. I love moroccan rugs! So many beautiful ones on The Gardener’s House. I commented! Love them all! Followed and commented. I seriously LOVE Pink Rug Co. Followed, liked and commented. Would love to put one of those rugs in our dining room! Gooorgeous rugs!! Followed and commented. 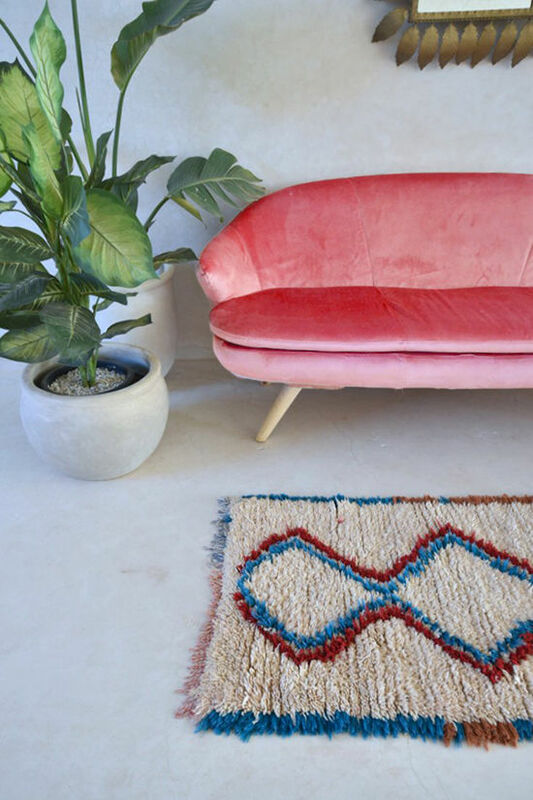 So happy to have Pink Rug Co in my Instagram feed now. Thanks lovelies! Commented! I love these rugs. My name on is katiemariewood. Gorgeous rugs!I liked their account and commented! Thanks for always sharing such fun inspiring content. Just tagged Pink Rug Co. on Insta and tagged a friend thats going to be stoked on browsing. What a great way to invest in your space!! I did all of the steps! We just bought our very first home on January 4th. It needs a lot of work, and my husband is on tour with his band, so in the time he’s gone before we can work on it together, I’m trying to make it pretty for myself and my two babes. One of these incredible rugs would make such a difference! Thank you for the chance! i followed and tagged! what lovely rugs. I followed and tagged! They have such gorgeous rugs, I don’t know how they give up any….i would want to keep them all for myself! Done and Done! Looooooove all of the rugs. And what a beautiful Instagram! Fin! Lovely rugs and feed! I completed the steps, these are awesome! Beautiful rugs. Followed and commented on IG! Fingers crossed! I have been rug shopping for months! followed and commented! These are such gorgeous rugs. So impressed with how much character each has and how lovingly they were all crafted! Done (@spiresinthesky)! What an eye! SO MANY GORGEOUS RUGS! I completed these steps and would LOVE LOVE LOVE to win. You guys are amazing. Keep rocking. Commented and Followed and Love them! Woohoo, hopefully I can score a beautiful rug! I followed all steps. Thank you!!! commented 🙂 i could scroll through moroccan textiles for hours. headed to marrakech in july and cannot wait! Done, I followed all the steps! These rugs are amazing! LOVE these rugs. Currently tagging all my friends to carry on the obsession! Commented and followed them! Commented and followed on Instagram! I’ve been living without a rug for 3 years! Fingers crossed! I followed and commented! Username totentanzing! Love love! As i just learned in stats, the probability of me winning is very low, but hey, im still gonna try! So lovely! would love a new rug for our nursery! commented and happily followed! just had to search your site. SUNLIGHT SPARKLES boucheruite is a MUST HAVE! I commented! The rugs are beautiful! My favorite type of rug. They are wonderful if you are renting and want to add vibrancy and beauty to a room. Followed, commented, excited!! These rugs are amazing. I did those steps! Fingers crossed. I would be over the moon thrilled to have a nice new rug! Done! Thank you so much for such a wonderful giveaway. Done! They are all very beautiful! Thank you! Commented! Would love one for our new place!! Pleasee! Followed! Commented! Need rug for my new home! Big big big Designlovefest fan and lover of Moroccan rugs! Done! So in love with these rugs, would totally transform my space. All set! These rugs are gorgeous. I must visit Morocco! I did the things! Fingers crossed because I love these. I commented! Love Pink Co rugs so much! I DID ALL THE STEPS! I LOVE RUGS! THANK YOU FOR THE CONTEST YAYYY! All in!! I have my fingers crossed!! done!!! super excited (: such a cute company!! followed / tagged / posted! fingers crossed! Done and done! Love them! Done and done! 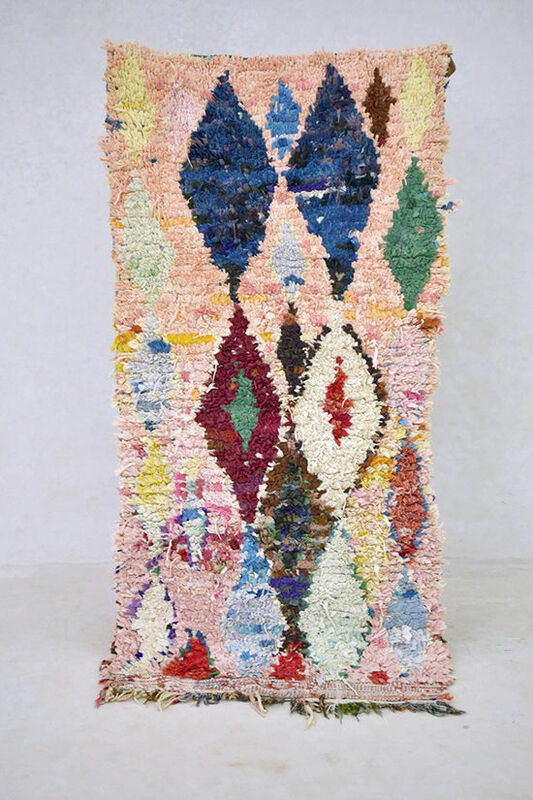 I have my fingers crossed as I’ve been looking for a Moroccan rug for my new apartment!! I DID THE STEPS PLS PICK ME K THANKS BYE!! Beautiful designs of rugs. I just love them. Done! and woah, texture loves! Commented! I love the colours in these rugs. Followed + commented. A rug would be amazing to fill the empty space in my new apartment! Followed, commented, tagged a friend. My bedroom/home office could use a beautiful Moroccan rug! Are there directions for Baked Chilequiles?? Yum!! THANK you. Crossing my fingers! All steps D O N E! Please please please please please! These rugs are BEAUTIFUL! done!! ahhh – pink rugs of marrakesh! Done! These rugs are absolutely stunning! I commented; I love these rugs so much! done and done !! such beautiful rugs, wow. I love this one! It would be so wonderful to have this in my new house…. <3 THOSE RUGS! Commented, and would LOVE to win! Done and done. Love these rugs! I so desperately need a new rug – they are beautiful!! I commented as @santaanajacaranda on the Oct 9, 2016 post at @pinkrugco. Thank you! All done and feeling lucky! Yay! I did all the steps. Thank you. Beautiful rugs! Added and commented via @lillychapel (my Insta account). Thank you! Done! Need a rug for my new studio apartment! I entered! Such beautiful rugs, thanks for sharing! Sadly I never win anything, but fingers crossed! Done! I can’t believe how much detail and work was put into each rug! Obsessed. Did it! Totally looking for a cute rug for my van I’m building. And one of these would be amazing! Lovely! 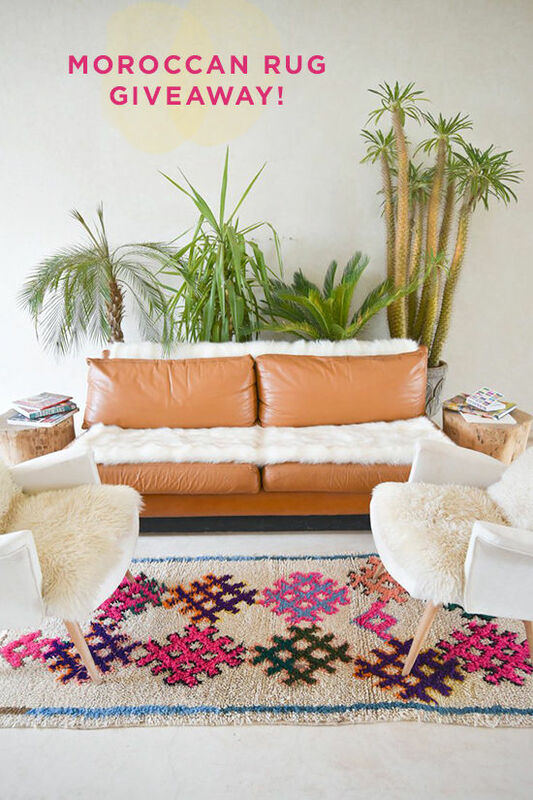 Moving soon and day dreaming about this cozy rugs in my living room! Choose me Bri! Done! Amazing gorgeous rugs. I am obsessed with all the pops of beautiful color. I picture reading, doing sit-ups, reading, and chatting with friends on these beauties. Yes. Steps completed. I carry the sun in a golden cup! Be mine! Liked and commented on . so pretty. Followed, liked, commented 🙂 love the rugs! Fabulous rugs!! I spend few minutes looking at all rugs, all the rugs are lovable and of course, handcrafted things are always good. Beautiful post, i share with you amazing gallery of Moroccan handmade rugs all natural.